Mini IVF or Minimal Stimulation In Vitro Fertilization is the latest mainstream version of IVF. A unique fertility treatment offered at New York Reproductive Wellness, this protocol, first conceived in Japan, offers IVF with minimal stimulation using oral medication with low (or no) injectable medication. Minimal stimulation IVF has high success rates for lower cost, typically accomplished with fewer office visits, and is performed under local, rather than general, anesthesia. Minimal stimulation IVF has a focus on producing the best quality eggs rather than the most eggs. It’s high success rates are similar to conventional IVF and is best complimented by a single embryo transfer policy. Although Mini IVF produces fewer eggs, the main advantage of the technique is that it can produce better quality eggs and healthier embryos in women with Low Ovarian Reserve, thus increasing pregnancy rates. Due to the use of fewer medications, your body isn’t subjected to as much stress, allowing for multiple cycles to be performed back to back, without the need for recovery. Who is Minimal Stimulation IVF best suited for? Minimal stimulation IVF is highly effective for women who have blocked fallopian tubes, endometriosis, pelvic scarring, unexplained infertility, and for male factor infertility. NYRW patients who have Polycystic Ovary Syndrome (PCOS) or are at risk of OHSS also are well qualified for this treatment. In contrast to a standard IVF treatments, where all of a woman’s eggs are stimulated, minimal stimulation IVF uses only small doses of medication to get just a few eggs to grow. These eggs are then monitored, retrieved and fertilized as in any other IVF. Minimal Stimulation IVF is definitely more patient friendly, however it requires unusually skilled laboratory experts. 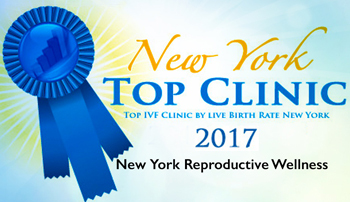 The fertility specialists at New York Reproductive Wellness have been culled from the best in New York and will give you the best chance of having a family. An alternative form of Minimal Stimulation IVF is called Ultra Mini IVF in which no injections are taken. Instead, these fertility medications are replaced with nasal sprays used to trigger the ovaries and prepare for implantation. Ultra Mini IVF is not recommended for everyone, but for some patients, this technique represents the best option for becoming pregnant and the latest breakthrough in IVF technology. 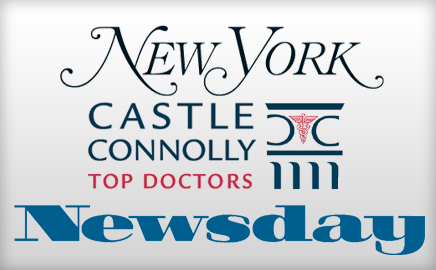 Please contact us today at (516) 605-2626 to schedule a consultation appointment. To learn more about our Fertility and Reproductive Endocrinology Services, please contact us at (516) 605-2626 today to schedule an appointment.